The default configuration area available in the Admin Console are Groups, Users, and now with the 3.3 release, the Application (which currently only includes the theme). 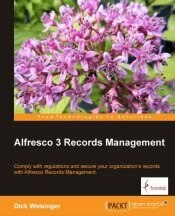 From the image above you can see the five out-of-the-box themes that come standard with Alfresco 3.3. And the image below shows you the rainbow of effects that you can get by applying these themes. Maybe not too exciting, but one interesting thing about the addition of Themes to the Admin Console is that it serves as a fairly simple example of how the Administration Console was designed to be extensible, so that new components that require administration could be added to the Console. 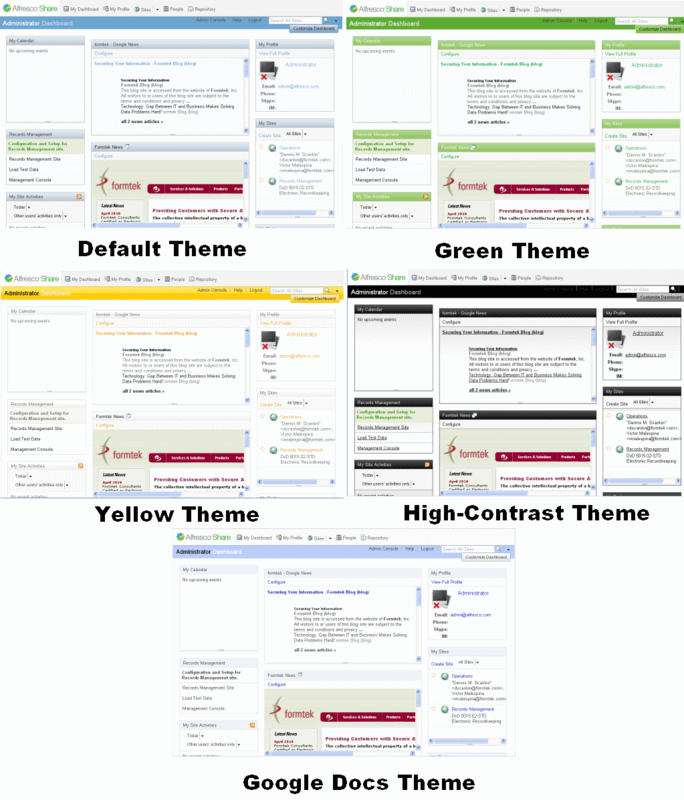 Surprisingly not that much new code is needed for the addition of themes into the Admin Console. Let's look at some of the files involved in the rest of this posting. We're not creating a new theme in this blog, but if you plan to make a custom new one, note that you should start by cloning the files from a theme other than the default one. 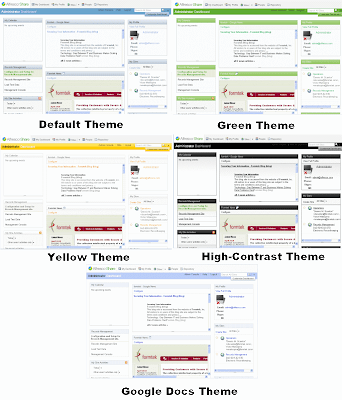 The default theme has access to assets that the other themes have local copies of. This file contains the labels used in the left-side navigation area of the Administration Console. We can see the definition for the label and description of the 'Application' Console configuration (along with similar definitions for users and groups). This file provides the actual layout markup for the Application Configuration in the Admin Console. This file defines labels that appear on the Application configuration page. message.failure=Failed to apply selected options. Once the "Apply button is selected, the new theme (and later potentially other Application data) data is posted back to the server. This function marks the newly selected theme and sets it.